Premium-grade cytokines offer the convenience of well-defined biological activities, which are normalized to reference standards provided by the National Institute for Biological Standards and Control (NIBSC) utilizing international units per mg (IU/mg). Thereby, they allow for exact unit dosing and eliminate laborious pre-testing. Lot-specific biological activities are available upon request. 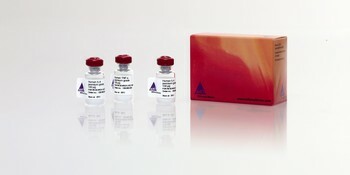 Premium-grade cytokines share major characteristics with MACS® GMP Cytokines, such as low endotoxin content and high purity, which makes them perfectly suited for relevant pre-clinical studies. In addition, we offer a huge portfolio of research-grade cytokines that enable reliable research with human, mouse, and rat cells. 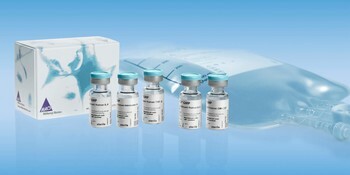 Learn more about production and quality control of MACS GMP products. Download the MACS Cytokines and Cell Culture Reagents catalog for all the information on our cell culture products.